SEATTLE (KOMO-TV) – A fire that broke out on a barge full of shipping containers on the Duwamish Waterway near West Seattle on Monday was caused by rotting garbage inside one of those containers, according to fire investigators. The fire broke out just before 4 p.m. Monday, at the Alaska Marine Lines terminal located along West Marginal Way Southwest, and set off a massive hazmat team response. Several containers contained fuel and propane. 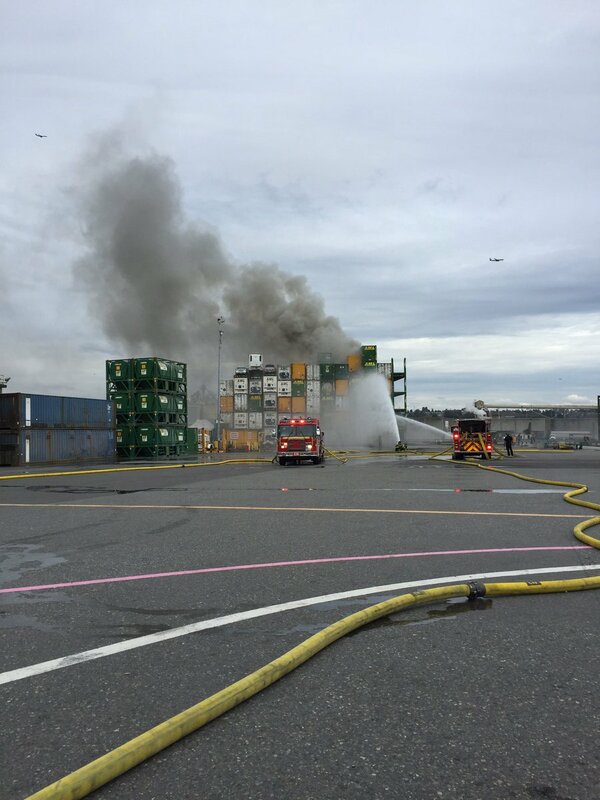 About half the Seattle Fire Department was called in to help battle the blaze and keep it from spreading to other containers. Once the fire was knocked down, port workers moved in with a crane to pull the shipping containers apart and investigators were able to determine the source of the fire. The Coast Guard was also called in to monitor for any chemicals or fuel that could potentially leak into the waterway. The Coast Guard later said there was no water pollution from the fire. However, reports indicated firefighting foam had collected in the river causing issues for small watercraft.